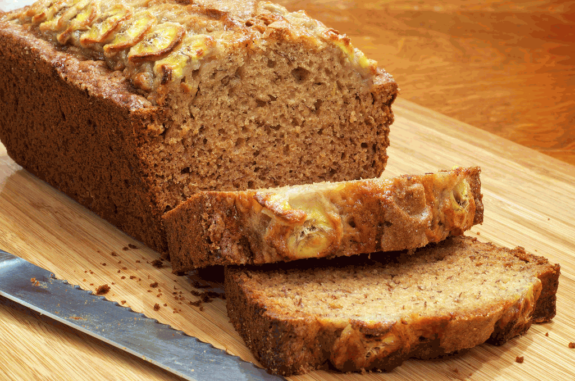 There has always been a craze of banana bread all over the world. Of you come to think of the reason, you will realize that bananas are actually far more common compared to any other fruit. Moreover, it is cheap as a result of which it happens to be the staple fruit in many parts of the world. Banana also has a lot of baking properties; hence it is used in making bread. Banana bread can be made very easily at home. It tastes good and has a lot of health benefits. Today we teach you how to make banana bread at home. You will require the following ingredients to make banana bread. Ripe Bananas- 2 to 3, peeled. Sugar- 3/4th cup. You can use less sugar, say around half a cup, if you don’t like sweet that much. Flour- 1 and a half cup. Preheat your oven. Take a loaf pan, put some butter in it, let the butter melt so that it spreads all over the pan. Take a bowl, put the bananas, smash them well till they become completely smooth. Now, add the melted butter to the banana mixture in the bowl and stir it well. Mix the salt and baking soda to it. Follow them by sugar, egg and vanilla extract. Once you have all the above ingredients in your bowl, mix them well. After you have prepared the batter, put it into the preheated loaf pan and bake it for an hour. Check if it is baked properly before removing it from the pan. Once the whole thing is baked, remove it from the oven, cool it for a while. Cut the bread into slices and serve. For more recipes, sign up with us and get more recipes every day of the week.